Are you overwhelmed trying to keep your home clean all the time, or always feel like you can’t keep things tidy for more than a few days? It’s time for a major cleaning! 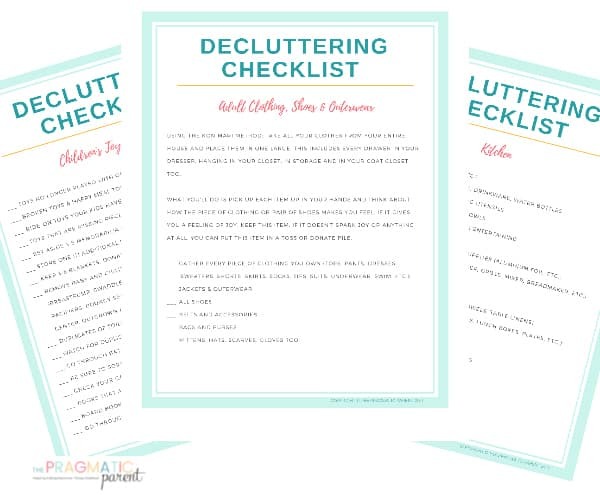 The free printables including the Room-by-Room Decluttering Checklist and 42 Days Clutter Free Calendar that will help you get control of your possessions to live without the stress and overwhelm of keeping a tidy home. How does chaos make you feel? What about a messy home? They’re about the same feeling, right? 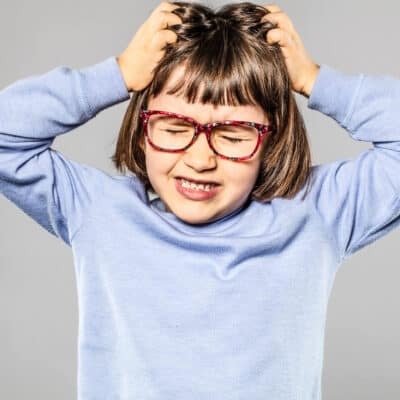 Parenting is crazy enough without the added stress of trying to keep your home tidy, and the endless cycle of cleaning up messes. This is why each year, right about this time when Spring arrives and warmer weather starts teasing me, the decluttering bug kicks in. Don’t get me wrong, I like my stuff, but I have learned the more “stuff” my family has, the harder it is to keep a clean house, to stay organized, and the more picking up we all have to do every day. Keeping a clean house isn’t just my responsibility even though I’m the Mom, everyone in my family has to pitch in. When I have to spend a chunk of my time each day, or part of the weekend tidying, this takes away from my family. This is a huge problem area for me, and it might be for you too. On Saturdays, I want to drink a bazillion gallons of coffee, stay in my pajamas past 8am, take in my son’s baseball game (granted, this is NOT in my pajamas,) go do things with my family and enjoy the heck out of the day. It’s a huge pain when these plans are sidelined by a four-hour rage cleaning session and I’m not generally the happiest person to be around afterwards. So, each year during the Spring I declutter. I purge the heck out of our house and get rid of things we don’t need, no longer fit, and don’t use. I donate what I can and toss the rest. The less stuff we have, the easier it is to do a 10-minute house walk every night and be done with picking up. The less stuff we have, the easier it is for even my 3-year-old to stay organized and put things back where they go. Seriously, I never spend more than 10 minutes cleaning up after the kids are in bed, or during the day and it’s changed my stress levels from hot mess to calm Mama. I wanted to share two super helpful decluttering printables I use in my own life, and you can use too if you’re starting to feel the decluttering itch, or maybe you need to get ready for a big garage sale or upcoming move.